The 2019 Camaro ZL1 1LE is the fastest and most track-capable Camaro ever offered by Chevrolet. For the first time, it is offered with a 10-speed automatic transmission, starting in late February 2019. When equipped with the automatic transmission, the ZL1 1LE is capable of lapping the General Motors 2.9-mile Milford Road Course race track half a second quicker than a comparably equipped Camaro with a manual transmission. 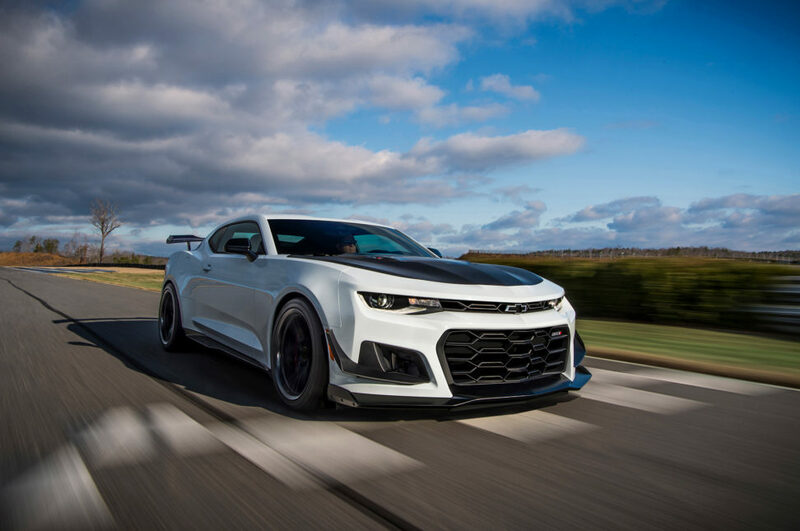 On longer race tracks like the Nürburgring, drivers can expect to shave off several seconds from their previous lap times with the automatic transmission over the 6-speed manual ZL1 1LE. are always in the perfect gear when rolling on or off the throttle. duct for the steering gear. 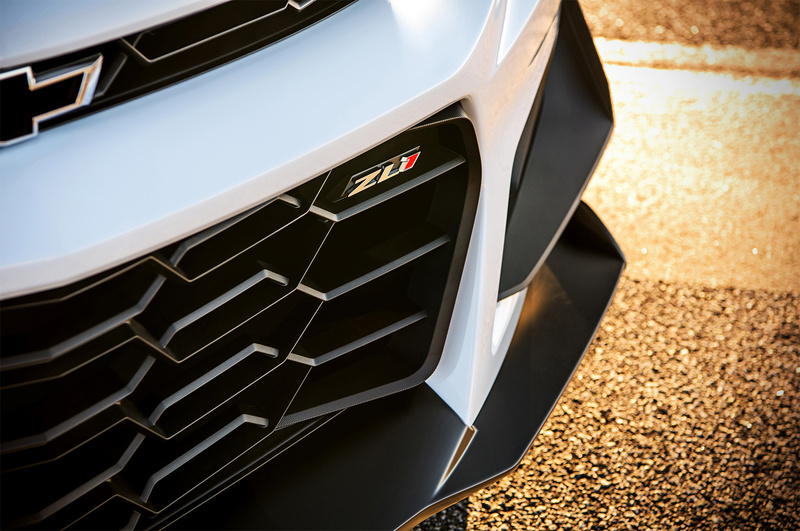 Additional unique features of the 2019 Camaro ZL1 1LE include a carbon fiber rear wing, specific air deflectors and dive planes on the front fascia that produce increased aerodynamic downforce resulting in faster high-speed cornering. Racing-derived, lightweight Multimatic DSSV dampers front and rear offer increased wheel and vehicle control. The front-end ride height is adjustable, along with the camber geometry. The rear stabilizer bar also offers three-way adjustability. 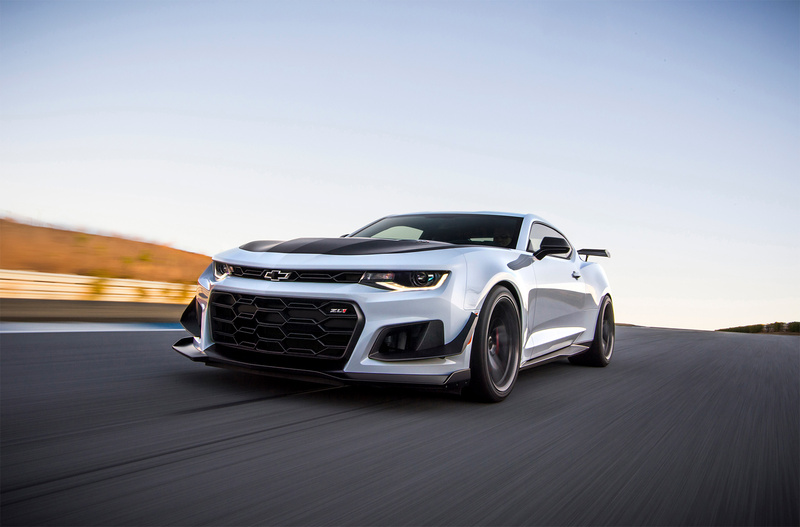 Specific lightweight forged aluminum wheels are an inch wider but an inch smaller in diameter, front and rear, than standard ZL1 wheels and are used with new summer-only Goodyear Eagle F1 Supercar 3R tires that deliver lateral grip of 1.10g. 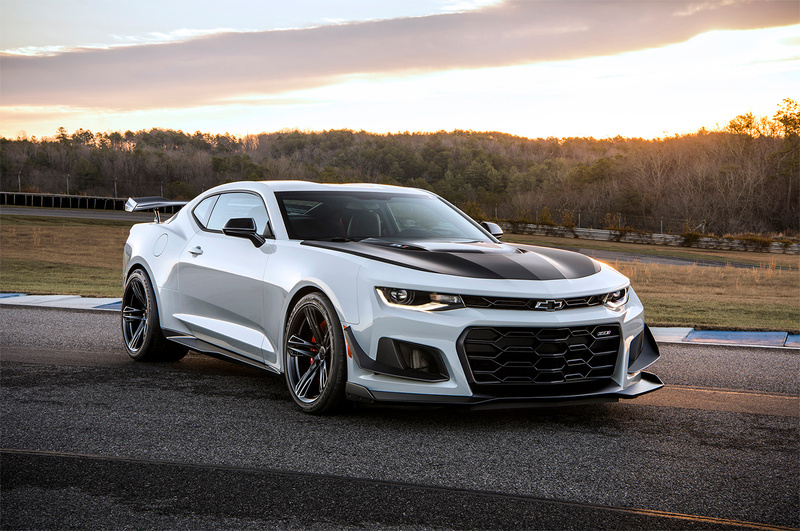 The lighter wheels and dampers, along with thinner rear glass and a fixed-back rear seat, contribute to more than 50-pound lower curb weight than a standard ZL1 Coupe. The ZL1 1LE is powered by a 650-horsepower, supercharged LT4 engine. Brembo brakes are included, along with dual-zone automatic climate control, Bose premium audio system, heated and ventilated front seats and heated steering wheel. The 2019 Camaro ZL1 1LE has an MSRP starting from $80,890.